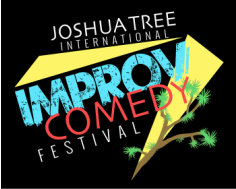 JOSHUA TREE INTERNATIONAL IMPROV/COMEDY FESTIVAL!! CLICK HERE TO READ ABOUT THE FESTIVAL "MOVIN ON UP!! " The inaugural festival held in 2014 was a huge success!